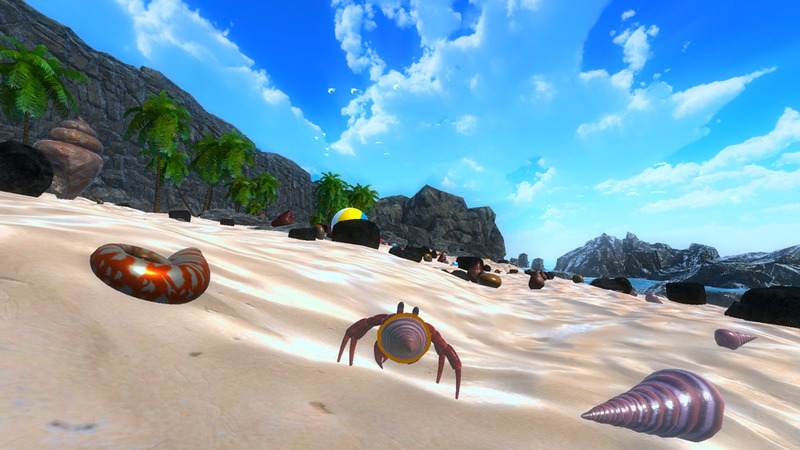 "A great looking game where you play as a crab and stop him from being burnt!" 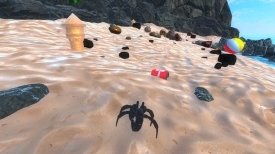 Gone Crab is a really nice looking yet very simple game where you play as a crab wandering around on a beach on a scorching hot day, the objective of the game is to survive as long as possible without the sun burning you until you melt away, to keep the sun off you, you must find shells and other items to use as a temporary home which will also help to protect you from the sun but the shells have a limited life length and will go bad after a short amount of time, once your shell has been removed your little crab will be exposed to the sun again and you will need to find a new shell (or home as it is to the crab) as quickly as possible! The game looks great and does well at making you are spending a relaxing day at the beach although on further inspection this must be one of the most litter ridden beaches in the world, the ambient music and sound effects really also help to add to this environment too. 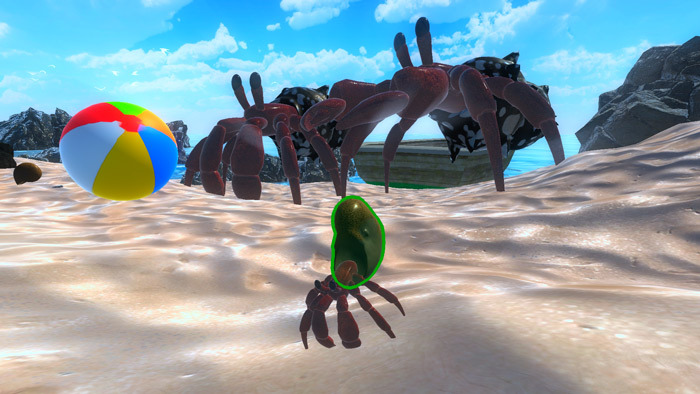 Although the game is designed to be played with a controller it is also possible to play it from your keyboard and mouse but it does make some of the actions that your crab can do such as scuttling harder to work out. It’s a cool idea for a game and a lot of effort has gone in to the design of Gone Crab however it does have a tendency to get quite repetitive after a while and it would be nice if there was more of an adventure element to the game but it’s certainly fun for a short amount of time. You can download Gone Crab here for free.